When it comes to sprucing up the living room, almost everybody gets confused while choosing the right colour. Plenty of colour choices available in the market make it difficult to narrow things down. A wrong colour selection can greatly affect the expectation and your desired appearance. Now, the question is, what should you do? There are two ways to make your choice – you either imitate the colour idea of somebody else or do a detailed study about the colours. If you want to give your living room a vibrant and unique appearance, but you have not the time to study colour options, you can consult a professional color expert or painting expert. They will be able to provide you with great colour ideas. In this blog, we will inform you about three shades of blue. If you are wondering why we have chosen blue from so many colour options- it is because blue is a colour that creates so many atmospheric styles that no other colour can offer. Blue can make your room calm and elegant. It is also an easier colour to decorate your living room’s walls with. Electric blue is considered close to cyan and is known for its brightness and vibrancy. Using this hue correctly can elevate the appearance of your living room. The colour holds everybody’s attention and makes them feel good. Moroccan Blue is thought to be an excellent choice for coastal settings. This blue shade can elevate the mood of the room by filling up positivity and enthusiasm. Using this blue shade properly can steal every visitor’s heart. Indigo blue is considered a timeless blue shade that you can deem to mix with cream, gray, and white neutrals. This will look stylish with silver, mercury glass, and gold metallic. Indigo blue adds style and statement to your living room and grab everyone’s attention. 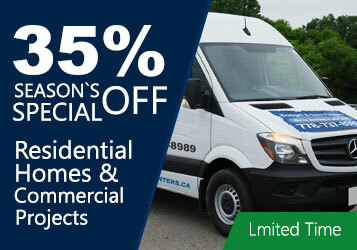 We are specialized Vancouver painters. If you are in Vancouver, contact us we will not only help you choose the best colour’s for your living room but also use them in the best manner in the room to give you your desired aesthetic style and appearance. Call us today!